PLCO X Scripture Type — Paul's Leather Co.
A special collaboration with Scripture Type, a family business combining hand lettering and thoughtfully crafted goods designed for the treasuring of God’s Word. 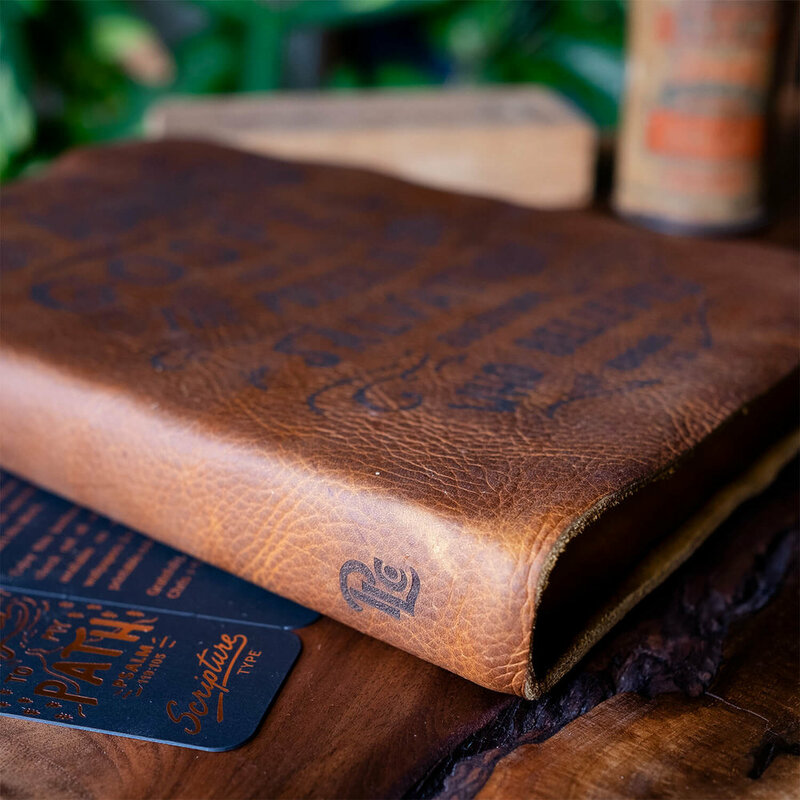 The PLCO x Scripture Type Bibles are hand crafted here at Paul’s Leather Co. and can be customized with any Scripture Type design laser burned onto the cover. These Bibles combine our quality leather Bibles with your choice of over 100 Scripture Type designs, the result of which is an incredibly unique and custom Bible, built to last for years to come. The PLCO x Scripture Type Bibles are available in two different leather color options and several different Bible translations.